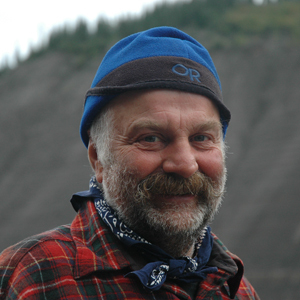 Walter has been an inspirational guiding light for Canoe North Adventures since the early days. Walter is a champion of the natural world and shares his passion through his tireless volunteer commitments with his community of Whitehorse. Walter has been instrumental in developing a first class youth kayaking program and also organizing club races and rodeo events for both adults and youth. Walter serves as a Canadian Ranger and participates in at least two outdoor training programs annually. An avid fly-fisherman, Walter spends many long winter hours tying a myriad of flies for the upcoming season. He has canoed extensively throughout the Canadian Arctic and sub-Arctic regions. Walter’s camp skills are exceptional and his river voice is unmistakable! Walter’s wife Anne-Marie da Silva along with sons Lawrence and Joel are avid canoeists and kayakers as well.